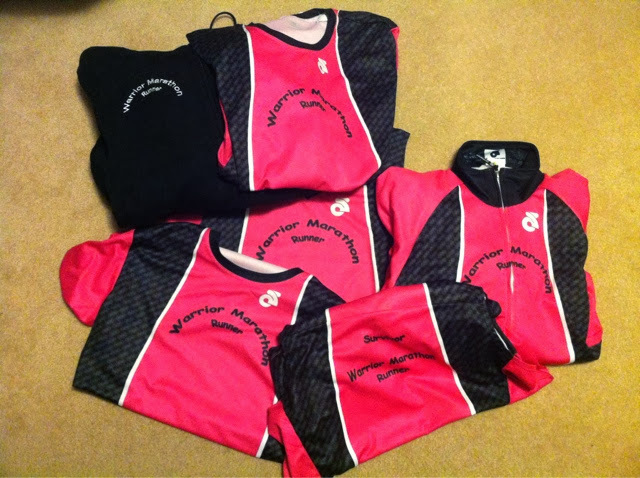 Hot off the production line, my own line of Warrior Marathon Runner apparel! Soon to be available to anyone! Jackets, hoodies, singlets and shirts! Pretty cool huh?